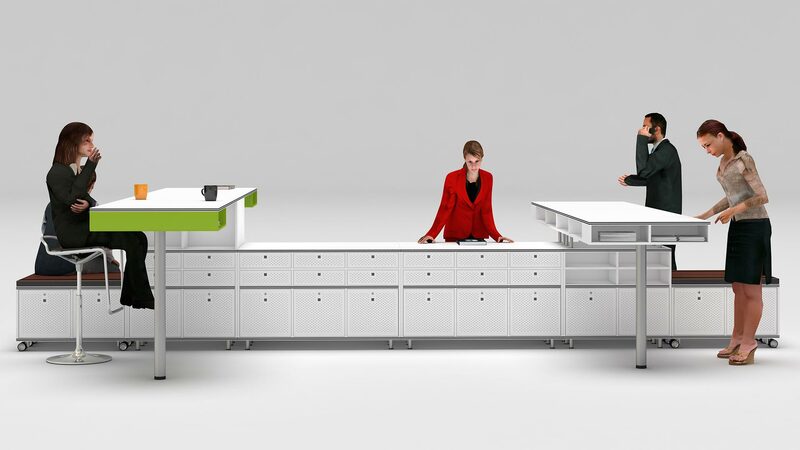 The cabinet system called MODUL+S has been developed by ITEMdesignworks for ACTIU as a proposal to complement the surrounding environment to the work spaces and in particular the MOBILITY system. This auxiliary cabinet system creates a large number of options and configurations, being particularly interesting for its proposals: formats, modulation, innovative, unique elements and finishes. In this way we create integrated assemblies, different, flexible, attractive, and with a great personality. Con MODUL+S conseguimos integrar planos de trabajo a diferentes alturas con un abanico de opciones de módulos de armarios, creando composiciones nuevas donde el mobiliario se adapta al modo de trabajo personalizado. 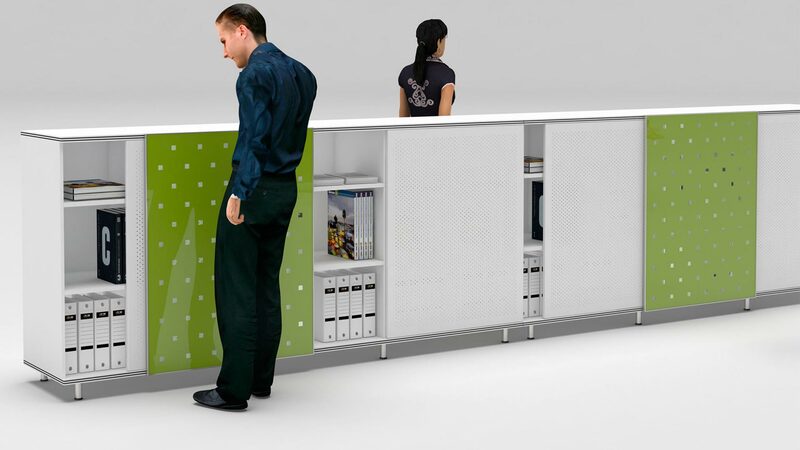 The finishes are multiple: drawer with perforated sheet plate fronts, sliding and folding doors. 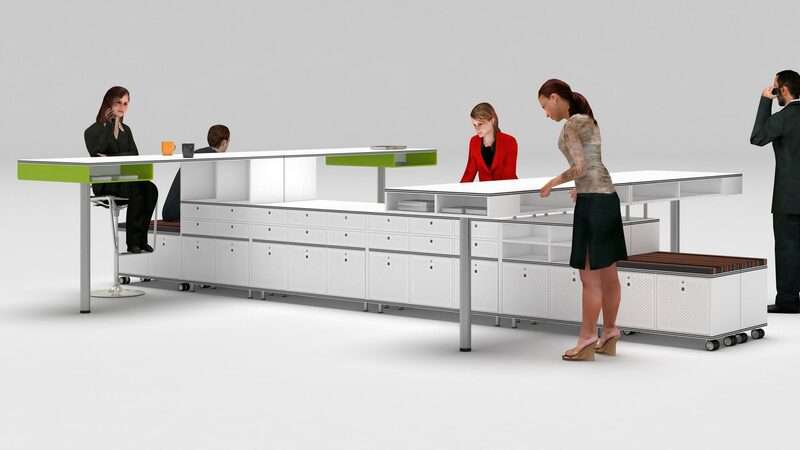 All cases show the same exterior aesthetics, so that the integration of different options is total.